Behold, Resident Evil 2 fans, the remake we’ve always wanted may finally be upon us. 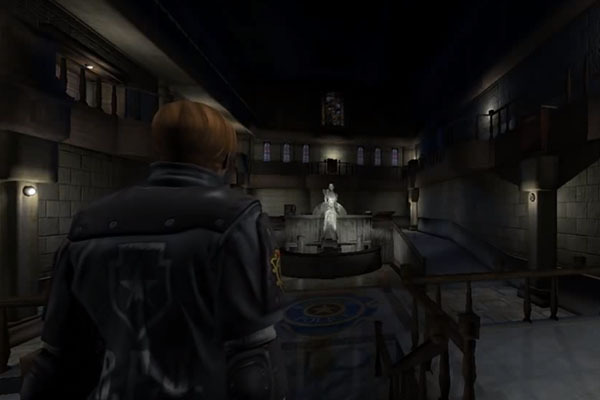 In development by Invader Games, this video shows just under two minutes of a highly detailed Leon Kennedy walking around the main hall of the Raccoon City Police Department. The hall itself looks amazing and feels alive with the classic music, footsteps, and reflective floor. We also get to see the item screen, but it could use some work. Though you don’t see recoil when Leon fires, Invader Games has assured us it’s already been added on their Facebook page. Also on their Facebook, they say that they have other areas already near completion and they’ll be releasing a new video in March, possibly February, to show off more features of the game. The entire Resident Evil 2 experience will be recreated, including a Mercenaries mini-game! They plan to include options for the typical over-the-shoulder view or classic fixed camera angles, which has me excited! Now, I said may in the opening because Capcom does not take kindly to people messing with their properties, and Resident Evil 2 is their one baby they won’t share with anyone else (despite fan requests, they have yet to make a remake of RE2). I’m sure this remake will be free, so Invader Games might be in the clear, but let’s show our support by liking their videos, Facebook page, and subscribing so this project can be completed and enjoyed by all!